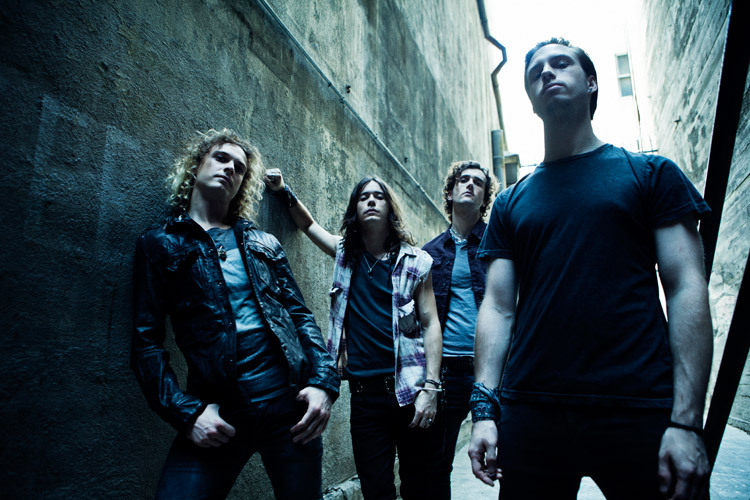 Having toured across Europe playing hundreds upon hundreds of shows alongside bands such as Papa Roach, Shinedown, Buckcherry, Black Stone Cherry and appearing at festivals such as Sonisphere and Download; Heaven’s Basement are a band who’ve built their reputation on a setting Britain’s underground alight and then taking that energy to bigger stages across Europe. Their desire to leave an everlasting impression on rock music is fueled by one sole ambition between them; to reach the summit of their potential and to be regarded alongside the bands that inspired them. Nice de-tuned guitar intro kicks into a high energy uptempo rocker guaranteed to get some body part moving !!! The sound is raw but well produced in term of punch, energy and clarity.Killer chorus hook too.!!! Brilliant riffy drum/guitar intro pile drives into a very contemporary rocker, nice take-down in the middle 8 with acoustic guitars and piano before the tempo picks up again, lots of twists and turns to keep the listener’s interest. Stripped-back drums and guitar intro with an almost-spoken vocal thunders into the super-catchy chorus.Killer song.All piss and vinegar in a f”k you attitude.